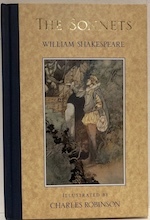 Includes 10 plays (the Kings) and 6 sections of poems including Venus & Adonis, Phoenix & Turtle, A Lover's Complaint, The Passionate Pilgrim, Lucrece and The Sonnets. 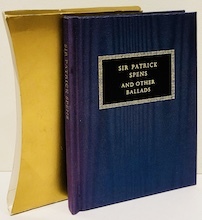 Beautifully bound in deep blue smooth leather with gold embossing and lettering, slight wear to spine, pages clean. The Anglo-Saxon poem Beowulf is one of the great Northern epics and a classic of European literature. In his new translation, Heaney has produced a work that is both true, line by line, to the original poem and an expression in its language and music of something fundamental to his own creative gift. Excellent overall condition complete with stylish black dust jacket. Shakespeare's Sonnets were originally published in 1609 when Shakespeare was 45yrs old. This edition has reordered them to make a more coherent sequence. They are beautifully illustrated by the Edwardian illustrator Charles Robinson who was acclaimed for his highly original colouring and flights of fantasy. 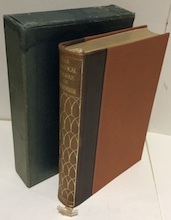 This edition contains both the 1859 and 1868 versions of Fitzgerald's translation and an informative introduction by Laurence Houseman all in a beautifully bound leather copy in very good condition. 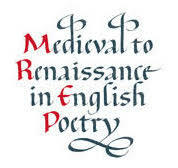 This is an anthology of modern verse translations of English poetry of the 13th and 14th centuries. Half are short poems and the rets short narrative poems including Pearl amongst other important epics. Tanned pages, cover good with slight foxing to page edges only. Last page at back has previously been sellotaped. Both of these poets were active in the 15th and early 16th centuries and wrote in Lowland Scots, a distinctive version of the English language. Henryson and Dunbar are the most powerful and individual voices in Scottish poetry of the Middle Ages. Contains poetry composed roughly between 650 and 1000AD i.e. from Widsith probably the oldest English poem to Maldon which was the last great poem before the Norman Conquest. No.794 of the Everyman Library. Name written inside cover and one notation - a correction to the translation of a word. Edited anew from the original manuscripts and presented in a readily readable form using normalised grammar and spelling according with the dialect of late fourteenth century London i.e. Chaucerian English, Duncan also gives a full commentary and extensive glossary. 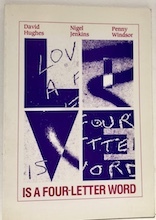 The poems in this book are addressed, with two exceptions, to Sylvia Plath, the American poet to whom Hughes was married. They are written over a period of more than twenty-five years, the first a few years after her suicide in 1963. Intimate and candid in manner, they are largely concerned with the psychological drama that led both to the writing of her greatest poems and to her death. These poems draw on a lifetime of experience of happiness and sadness, pleasure and pain. This inspirational poetry cannot fail to touch the heart. A highly impressive debut collection from this very talented poet. Inscribed and signed copy. Originally published in 1667 after Milton was struck blind for five years. Handy pocket sized edition with introduction by F T Prince. Former school library book in excellent overall condition. This has every single one of Keats works, unabridged. Keats drew on a body of experience enriched by his great intelligence and fine sensibility.If you are a Keats fan, this is a must have book. The complete works of the poet in one volume to treasure. Complete with original slip case which has some wear but has kept the book in excellent condition. Please note that the print of this volume is small. These two early collections of poems by the legendary Blake contain memorable lyric verse embodying the emerging spirit of Romanticism. Originally published in 1794 this edition is an unabridged and corrected republication of those texts. This fifth volume in the Penguin Poets Series covers poets from Hopkins to Eliot. This copy has sound binding but tanned pages. Includes 8 poems as a taster to his great works plus a biography and archived articles. From the harrowing images of the First World War to the evocative love poems of Betjemen, this collection is as rich and varied as the last century was itself. Deep green faux leather with gilt embossing and lettering. Introduction by the earl of Birkenhead, revised edition with index of places. 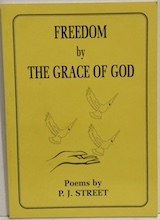 Poems included from 1932 to 1974. 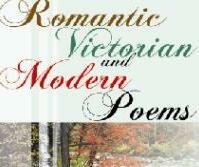 A collection of poems by 5 of the best romantic poets namely Wordsworth, Coleridge, Keats, Byron and Shelley. Beautifully bound in black faux-leather with gilt embossing and lettering and inlaid colour plate. 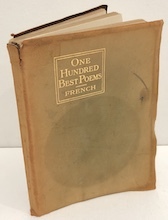 Complete with dust jacket with some wear to edges and some pencil marks in the margins and poems written inside front cover. Lovely pocket sized edition . 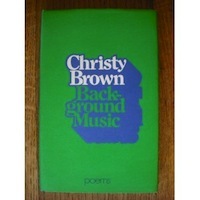 Mingling satire, humour and pathos, this collection of verse by Christy Brown will appeal to all who believe that poetry should be explicit in content and mood. 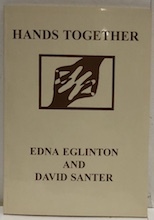 SIGNED by Edna Eglington, In this volume the central space in the poems is taken not by the poets but by some other presence the poet looks in on - this self exclusion is both generous and poignant. 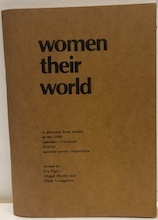 A selection from entries in the 1980 Lancaster Literature Festival national poetry competition which was on the theme 'Women - Their World' which aimed to address the prominence of the masculine in literature. Love is possibly the most important word in the English language and at the same time the most cheapened and abused. The poems in this book, brought together originally to accompany a national tour by three English-language poets, attempt a few definitions. Best known for his biographies of Keats and Hardy, Gittings has won universal acclaim. 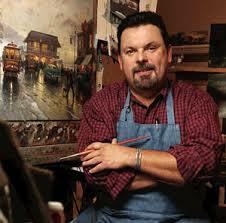 His poetry is distinguished by the same sensitivity, sharpness of detail and economy of expression. 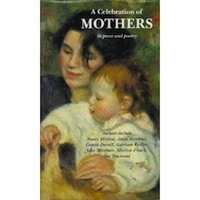 This is the first collection of Jean's poems published to celebrate her 60th birthday. A charming collection in a handy pocket sized book. 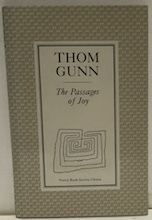 In this new collection of poetry, Gunn was at the height of his power. These poems combine personal directness with effortless technical assurance. A Poetry Book Society Choice. Self published collection of poetry from PJ Street. 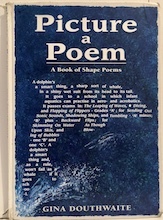 A selection of poems in a self published volume. Signed by the author. This collection by the long poet Morgaine d'Abney captures the feelings and moments we try to hide and also stirs our imaginations with ideas we've never discovered. Demons will shock you, taunt you and haunt you. Carolyn's fifth collection explores the question of 'where do you consider home?' through poems which are deeply personal. Signed by the author. The best 26 poems and short stories chosen by U A Fanthorpe and Rose Tremain from thousands of submissions. 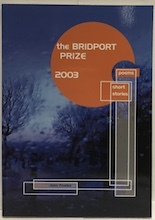 The best 26 poems and short stories chosen by Paul Farley and Jim Crace from thousands of submissions. 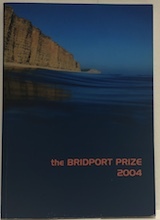 The finest 26 poems and short stories chosen from thousands of submissions. 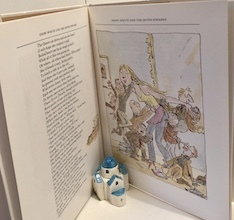 Brooke's poems are arranged chronologically with the addition of 2 long poems written during his school years at Rugby, This copy has an uncreased spine but some creasing to the cover and slightly tanned pages. Biographical notes on poets included. 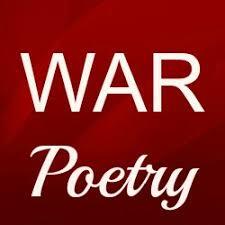 Most of the selection are from the writing of younger men who have written mainly under the influence and reactions of war; others are from older poets who are in touch with this new generation. The forties in England began with war and ended in social revolution. The selection in this volume contains some lesser known poets and provides thought provoking material. The copy has tanned pages and name stamp inside cover. 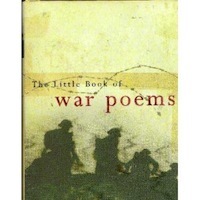 There have been war poets for as long as there have been wars. The poems in this collection range across the centuries, but the experiences they record remain as true today as when men fought at the Somme, at Waterloo and at Troy. An ideal gift for any poetry fan. The first thing to say about these poems, coming as they do from a poet of such depth, is how direct, lucid and accessible they are. 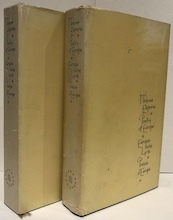 The selection of poems in this volume is chronologically arranged to the extent that the first group consists of pre-Weimar poems (before 1775), the second of Weimar poems before Italy (before 1786) and the third of Italian or post-Italian poems until his death is 1832. A bilingual anthology. Ideal for anyone interested in Gaelic poetry but also ideal for students of Gaelic. Each poems side by side in both languages. 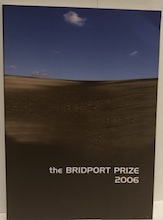 Includes poems by five talented poets - Maclean, Campbell-Hay, Crichton Smith, Thomson and MacAulay. Belle édition en daim vert enfant le plus doux - le daim est passé à une couleur beige douce, avec quelques marques pour couvrir, un léger bronzage pour les bords de la page coupés à la main. Édition de poche pratique. Livre très tactile. 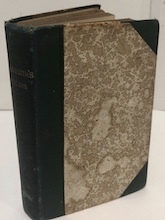 Beautiful edition in softest green kid suede - suede has faded to a soft beige colour with some marking to cover, slight tanning to hand-cut page edges. Handy pocket size edition. Very tactile book. Poesies et illutrations en français. Ces trois petits points conduirant a nous surprendre (Guy Ducotey). French-English edition. 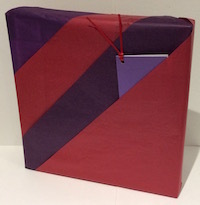 Contents include The Legacy, The Testament and miscellaneous poems. The French text is based upon the authoritative Longnon-Foulet text of 1932. The four modern poets contained in this volume are Cavafy, Elytis, Gatsos and Seferis who also won a Nobel Prize. Text is in verse translation in English. Complete with plain prose translation of each poem. Selections from the end of the 17th century up to 20th century. Slightly tanned pages but cover very good. Gina's ingenious words leap, dance, sew and creep their way across the pages in a visual feast created by stating and innovative typography. 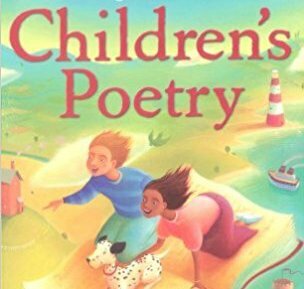 A perfect way to introduce children to the amazing possibilities of poetry. 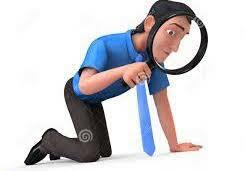 Some wear to the book spine but pages clean and unmarked. 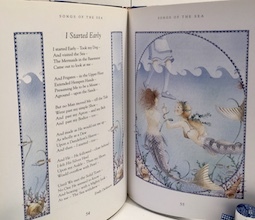 This beautifully illustrated collection will introduce children to a lifetime of pleasure in poetry by gathers together classic poems on a number of themes. 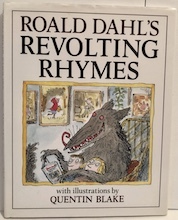 Six irreverent retellings of favourite fairytales but with alternative endings in classic Dahl style then brought to life by Blake's wonderful illustrations. We will never see Cinderella, Snow White or Red Riding Hood in quite the same light ever again! 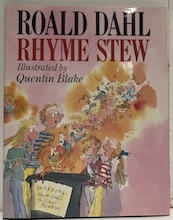 The marvellously dastardly Dahl has joined forces with that bounder Blake to plunder a wealth of nursery heritage for the delight of the older reader in this addition to the literature of the absurd..
A book of verse for boys containing a personal selection by Henley of poems from great poets through the ages to stir and inspire the youth of the Edwardian era but still as relevant today as in times past. This copy is in very good condition but has some pencil notations from former owners. 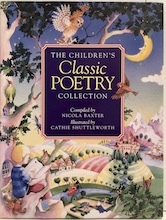 A great collection of magical verses, rhymes and spells sure to inspire any budding wizard to foster a lover of poetry! A mix of contemporary poetry together with well-known poems from the past sensitively illustrated with woodcuts in a variety of styles. This anthology provides young people with a first introduction to the best in the tradition of English poetry. 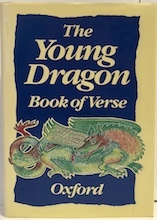 A fantastic collection of poems about all sorts of dragons. Meet the undeniably cool Dragon who ate our school and the dragon in the cellar and find out why the Welsh dragon stopped being green! Signed and inscribed by the author. Unread book with slightly tanned page edges. 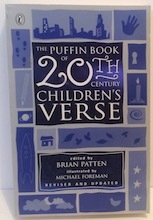 For children of seven years and over, this anthology, featuring the very best of poetry written for children over the last 100 years, has been updated for the new millennium to include poems from the nineties. 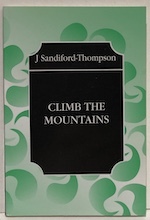 A collection of over 50 poems by a variety of classical and modern poets. This delightful collection is in a leather effect hardback with gold lettering and embossing. This anthology is a vast variety of memories and thoughts of present and past days from a selection of modern poets. 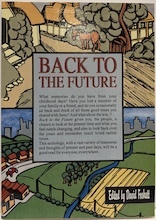 Flip the book and you have the views of all the poets included on the present day and what they expect from future. Poetry by the people for the people. In this Anthology an impressive team of poetic performers express their enthusiasm for a wide range of sporting events. 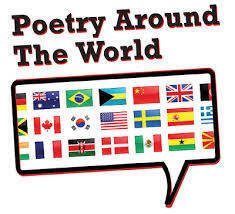 From classic poets such as Wordsworth and Keats to modern poets and some great poems by anonymous writers. Conceived as a collection of editors' own favourite poems, this collection has established itself as the classic anthology of our time. 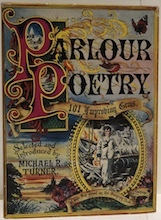 As Melvin Bragg describes it as "a must have for anyone at all who likes poetry.". 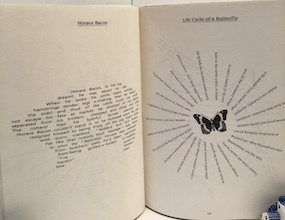 An anthology of poems by school children in Monmouthshire, South Wales which forms part of the Young Writers series where young people are nurtured and inspired to have the confidence to write by seeing their work published. The variety of topics and forms in this collection provides something for every readers. This anthology of life writing provides the reader with a great variety of views of the world. 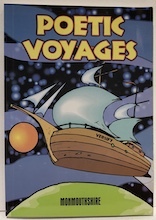 Poems and stories with illustrations. These splendid selection of poems range from ancient China to modern day America and recreate at its most piercing a universal experience of the human soul in a lovely pocket sized edition. 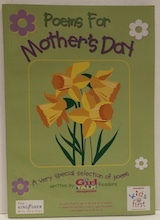 A very special selection of poems written by Girl Talk Magazine readers to celebrate Mothers and Mother's day. Generations of well brought up children recited these verses to their admiring elders in front parlours all over the Empire. Some of these poets have been forgotten but in their day were as famous as Byron or Wordsworth and their poems are undeservedly dismissed. Name inscribed inside front cover. There have been love poems for as long as poetry has existed, for poetry is the art form best suited to the expression of that complex of emotions known as love. The poems in this anthology are the personal choice of a man whose literary tastes are wide and varied. 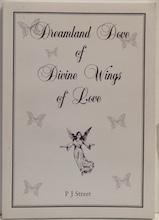 A poet himself, Charles Osborne has covered a vast range in making his selection of love poems in English. This is a very personal anthology of poetry and prose chosen by Elizabeth Goudge. She has created a beautiful book full of understanding and meaning. This copy has tanned page edges, but the cover is in excellent condition with an uncreased spine. Sussex has always been a place of inspiration to writers such as William Blake, Philip Larkin etc. This copy in excellent condition with slight tanning to page edges only. 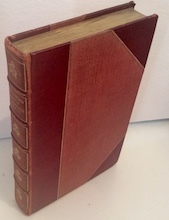 Tan leather and cloth binding with gilt embossing and lettering, slight fading to rear cover only, inscription inside cover dated Christmas 1917, gilt edged pages, clean and unmarked. The longest poem in this collection is 13 lines long and the shortest has none! It shows how a short poem can tell a story, argument or instance and be packed with passion, wisdom or music. This copy has slightly tanned page edges but is in great condition otherwise. A beautiful collection of excerpts from famous authors including Nancy Mitford, Anita Brookner, Gerald Durrell, Sue Townsend, Jane Austen, Oscar Wilde, Philip Roth and many others. An ideal gift for the Special Woman in your life.